April 24-30 is World Immunization Week. While it is estimated that vaccinations save the lives of 2.5 million children every year, another 1.5 million children die each year from diseases that can be prevented with vaccines. Christian organizations are working to change this and help the global health community reach the 20 percent of children worldwide who miss out on life-saving vaccines. Reaching parents with information about vaccines and vaccinating children is critical to child survival. Immunization is one of the main drivers behind the tremendous decline in child deaths the world has experienced in recent decades. In 1990, 12 million children lost their lives, primarily to preventable causes, including diseases that could have been stopped with vaccines. In just over 20 years, childhood deaths have fallen to less than 7 million per year, amazing results considering the large growth in world population. Despite this success, approximately 22.6 million infants worldwide still do not receive routine immunization services each year. Children who live far from clinics or in hard-to-reach areas in developing nations are at particular risk. To protect children from disease, the Bishop Masereka Medical Center in Kasese, Uganda provides vaccinations every weekday. In 2013, the center immunized 8,839 children and pregnant women against polio, measles, diphtheria, whooping cough, tetanus, tuberculosis, hepatitis B, and haemophilus influenza B. In February 2014, the health center added the pneumococcal vaccine to protect against pneumonia. To reach children whose parents may not be able to bring them to the clinic, the foundation sends health workers to villages outside Kasese to educate parents and vaccinate children four days every month. Church is another place parents in the Kasese area are reached with information about vaccines. While people in industrialized nations may not expect to hear health messages in church, worship services can be an ideal time for health education in developing nations. Church may be the one place community members gather on a weekly basis, coming together for worship services, meetings and choir practices. In addition, faith leaders are often highly respected and trusted, making them ideal messengers about vaccines. The connection between healthcare and faith communities is deeply rooted in Africa. In many areas of sub-Saharan Africa, Christian missionaries began providing formal healthcare long before governments or other private healthcare systems. Today, faith-based health facilities provide anywhere from 25 to 50 percent or more of care in some African nations, according to World Health Organization mapping studies. The potential of faith communities to reach families with information and vaccines has been recognized by the GAVI Alliance, a donor-funded global institution dedicated to increasing access to vaccines. Since its founding in 2000, an additional 440 million children have been immunized against diseases in the world’s poorest countries with GAVI support, preventing approximately 6 million future deaths. The GAVI Alliance is working with Christian and other faith-based organizations to leverage the broad reach and influence of faith communities to reach even more children, so no child needs to die from a disease that can be prevented with a vaccine. Kathy Erb is communications manager for Christian Connections for International Health, a global network of organizations and individuals promoting global health and wholeness from a Christian perspective. Sharon Kabugho, communications officer, Bishop Masereka Christian Foundation contributed to this report. Photos: Courtesy Christian Connections for International Health. 1. "A health worker vaccinates a baby at the Bishop Masereka Medical Center in Kasese, Uganda." 2. 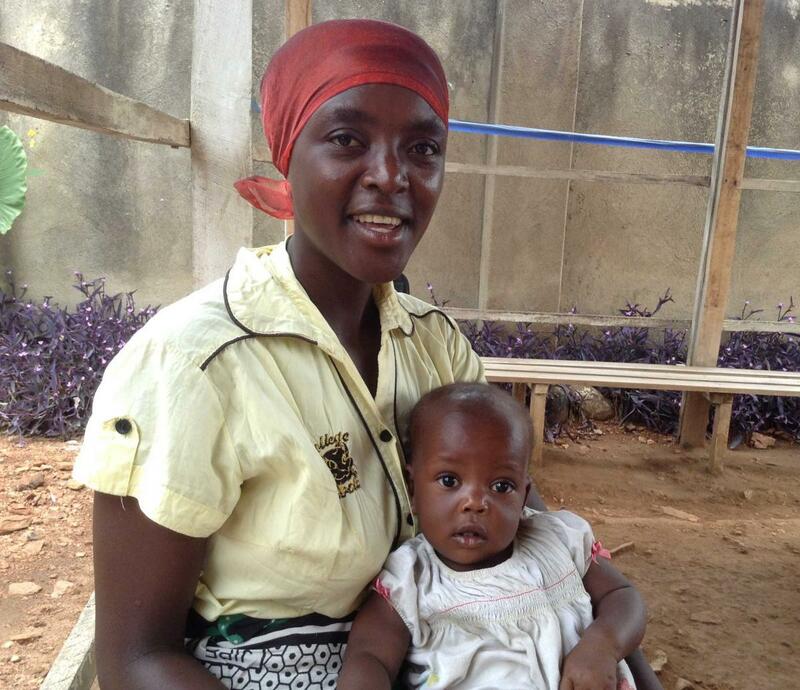 "Sylvia takes her baby to the Bishop Masereka Medical Center in Kasese, Uganda for life-saving vaccines."